Set a response time to set expectations: Response times are notes that show up in the about section of your page and in the chat window when someone messages your page, and they tell people when they can expect a response from your business. Page admins can choose to show that they respond either “within minutes,” “within an hour,” “within hours” or “within a day.” Set a response time for your page that is accurate to set expectations with people sending you messages and to establish response time guidelines for the people on your team in charge of responding to messages. Learn how to set a response time. If you respond to 90 percent of messages within 15 minutes, you’ll earn a “very responsive to messages” badge. While we don’t expect every page to meet this threshold, we recommend being as responsive as possible to build rapport with your customers. Use instant replies to greet customers: When you have messaging enabled for your page, you have the option of turning on instant replies to send an automated reply to anyone who messages your page. Where appropriate, this feature can be used to greet customers and thank them for reaching out before someone is able to respond personally. Learn how to turn on instant replies. 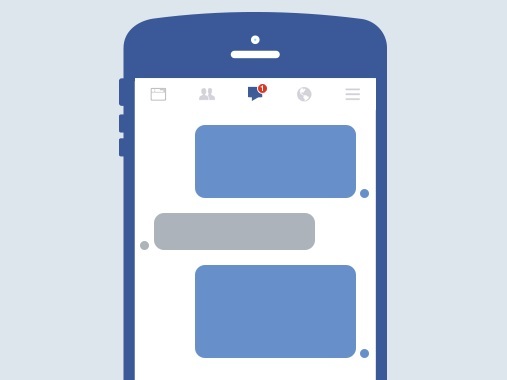 Page admins: How helpful are Facebook’s pages messaging features?